The Soko J-22 Orao (orao is Serbian for eagle) is a Yugoslavian subsonic jet fighter currently used by the Serbian Air Force. The aircraft is powered by two jet engines and it is a close support, ground attack aircraft which comes in two versions; a single seat main attack version and a two seat version for advanced flying or weapon training. Another version of this particular aircraft is the Serbian Air Force's acrobat aircraft . Soko J-22 Orao was developed as a part of the Yugoslavian and Romanian project “YuRom”. With the Romanian Doctor-Engineer Teodor Zanfirescu and the Yugoslav Colonel Vidoje Knezevic as the program leaders, the project seemed to develop very well, and the replacement for the lightly armed Soko J-21 Jastreb - the J-22 Orao - was successfully fulfilled. On 22nd of November, a Yugoslav test pilot named Marjan Jelen managed to break the sound barrier with the Soko J-22 Orao in a shallow dive above Batajnica airport, making this jet fighter the first ever Yugoslav aircraft to break the sound barrier. Even though Marjan Jelen successfully achieved the goal of breaking the sound barrier with this fighter aircraft, it was considered a subsonic aircraft because it was not capable of exceeding mach 1 in level flights. At present the Serbian Air Force consists of sixteen J-22 Orao fighters, seven NJ-22 trainer aircraft, eight IJ-22 reconnaissance aircraft and two INJ-22 reconnaissance- trainer aircraft, among many other Russian and Yugoslavian fighter- jets. 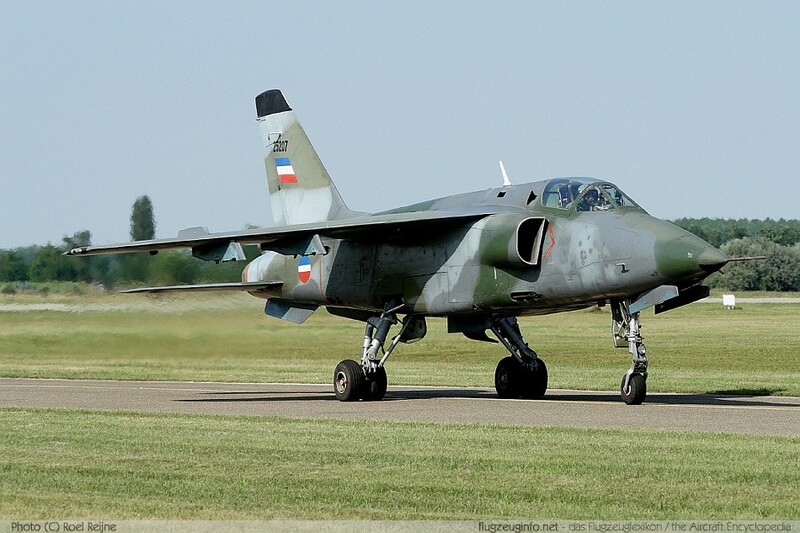 Image shows a Yugoslav Soko J-22 Orao jet fighter. What makes the text above a formal text?
" I "and "you" or "doesn't" and "don't". Looks like you have a great interest for jet fighters. This certainly is a formal text with a lot of information!